Asahel and Felix barely escape a shipwreck; the two depend on each other to get back to civilization in order to survive. Once they are back they must walk a fine line as political tension is rampant in Anjdur between the Empress and those who wish her dead. 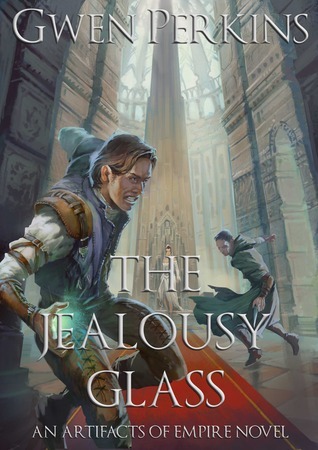 Ok so I missed a lot by not reading the first book, this book jumps right into the middle of the story as Asahel and Felix are on their merry way and the ship they are on is soon tossed to the bottom of the sea. The author didn’t do a very good job in “playing catch up” so if you haven’t read the first I certainly suggest it. Otherwise I liked this book, from the subtle M/M Romance (a romance that revolves around two Males) to the high octane action this is certainly a unique novel. I truly wish I had read the first though the story seems so interesting but confusing as there are times that I have no idea what Gwen Perkins is talking about. This is definitely an amazing adventure novel with strong religious undertones as well as sexuality, if either of these topics offend you or may be a touchy subject for you skip it otherwise this is a must read! American inventor Jed Reeve, just had to fall head over heels in love with a suffragette, Esme Smith. Lately he has had an overwhelming urge to protect her, which is the last thing she wants. With his warring emotions he is not in the mood to hear the woes of someone else but when a young man and his cousin come in he cannot turn them away and is soon drug into a plot to assonate the Prince of Wales. 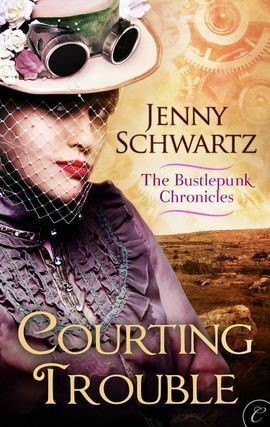 This novel is only about one hundred pages long but in that time Jenny Schwartz packs a ton of action into a cute romance making this quick read truly fun. Though the romance is a bit light since Jed is already in love with Esme, it is still beautiful as he tries his best to woo the headstrong woman. This is definitely one of those books I refer to as a “fluff” novel, it’s fun, it’s short but there isn’t much substance that will leave a lasting impression.